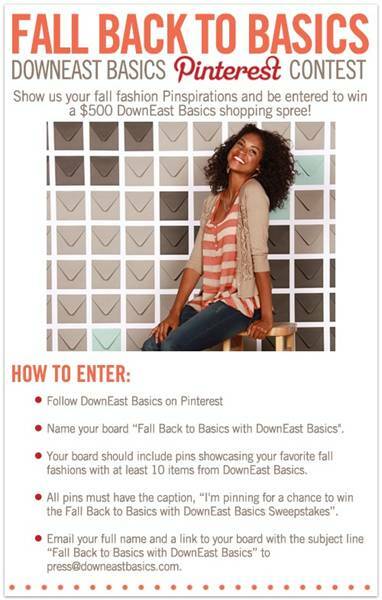 To help you get into the fall spirit, DownEast Basics is kicking off their “Fall Back to Basics with DownEast Basics” sweepstakes, our first-ever Pinterest contest! One lucky winner will receive a $500 gift card to help bring in the cooler temperatures with a new, fresh look. I am off to enter! I love the creativity of a Pinterest contest. Good luck and let me know if you win!